ArchDaily reported on Thursday that the Chilean firm of Pezo Von Ellrichshausen has won the first awarding of the new Mies Crown Hall Americas Prize for Emerging Architecture, which comes with $25,000 cash and a research professorship at IIT, whose school of Architecture is sponsoring the prize. 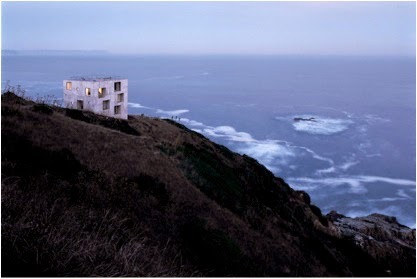 Pezo Von Ellrichshausen won for their Casa Poli on Chile's Coliumo peninsula, completed in 2005. In 2008, ArchDaily published an extensive photoset on the project. This fall, the winner will be announced for the Mies Crown Hall Americas Prize, chosen by a jury from 225 nominees of work completed in North and South American between January of 2000 and December 2013. Four Finalists for MCHAP for Emerging Architecture to present in IIT's Crown Hall.